I got my new stack of books in this week. 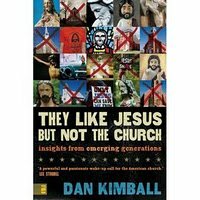 I’m currently reading They Like Jesus but Not the Church: Insights from Emerging Generations by Dan Kimball about ministry to the Emerging Generation. My little article on Offering to Pray was posted on Ordinary Attempts. That got a good conversation going between Helen and I on both blogs in the comments section. I certainly hope that our blogs will continue to interact. Helen even posted a link to a bulletin board called Internet Infidels to get the reaction of some others to an offer to pray. I invite you to scan the article and its comments, and even the reaction over at the other board. Ron Crandall, of Asbury Seminary, just published an article (Link Broken) about evangelism. He goes on to say that one important question to ask is “Where is the Holy Spirit of God at work in our world today? I have no problems giving an invitation at the end of an evangelistic sermon or as part of a presentation. The Internet Monk looks at this method a little theologically. I simply offer it for thought. Speaking of attending church, here is an interesting statistical report. That’s pretty much it for this week.